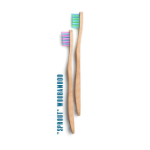 A bamboo toothbrush is the environmentally conscious choice for your household. 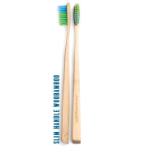 This toothbrush has a biodegradable handle made from 100% bamboo. 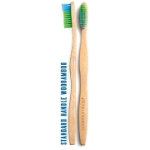 The soft bristles are verified BPA-Free Soft Nylon (recyclable, not biodegradable). 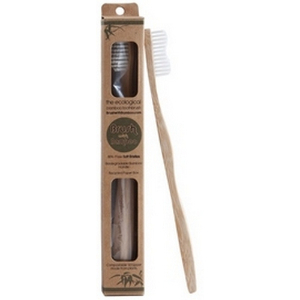 The bamboo toothbrush comes in a biodegradable box made from paper. 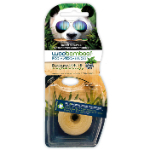 The inside wrapper is made from plants and is compostable in city and commercial facilities (ASTM D6400 compliant).